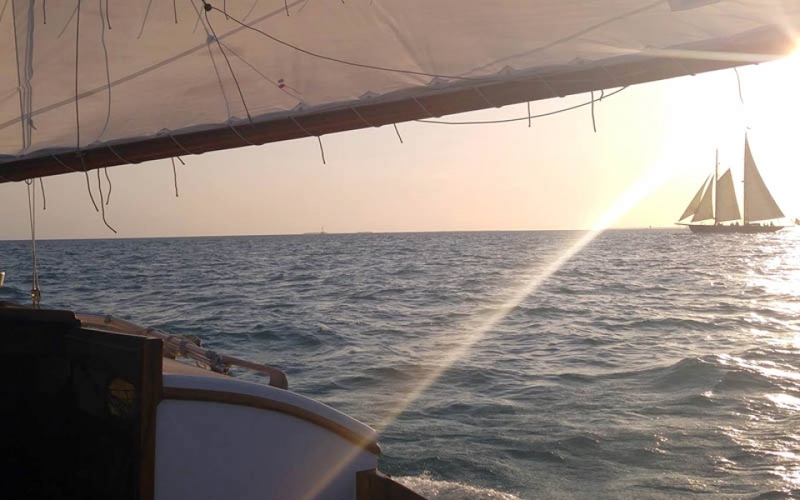 A beautiful sunset sail on your own private yacht, for groups of up to 6 people. More than 6 in your group? Watch the sunset from Salem’s waters. 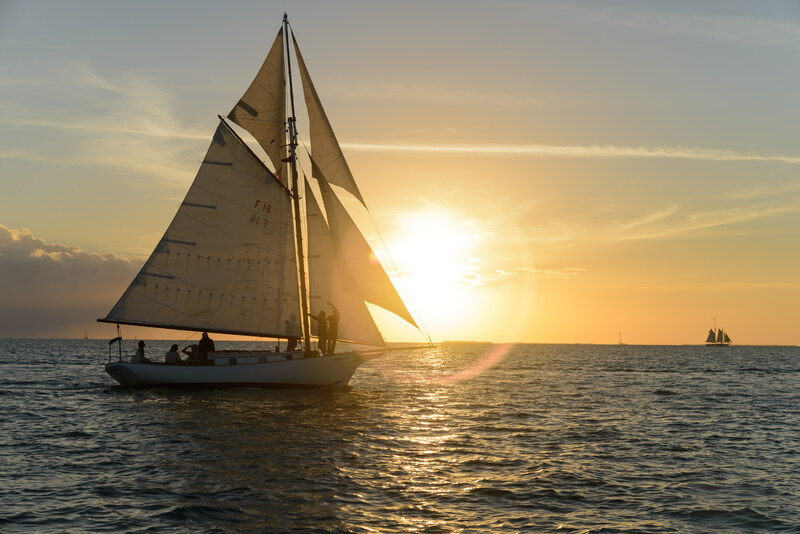 We take to the ocean every evening to watch Earth’s great spectacle happen from our favorite vantage point. Join us as the night gets crisp and New England is at its most peaceful. 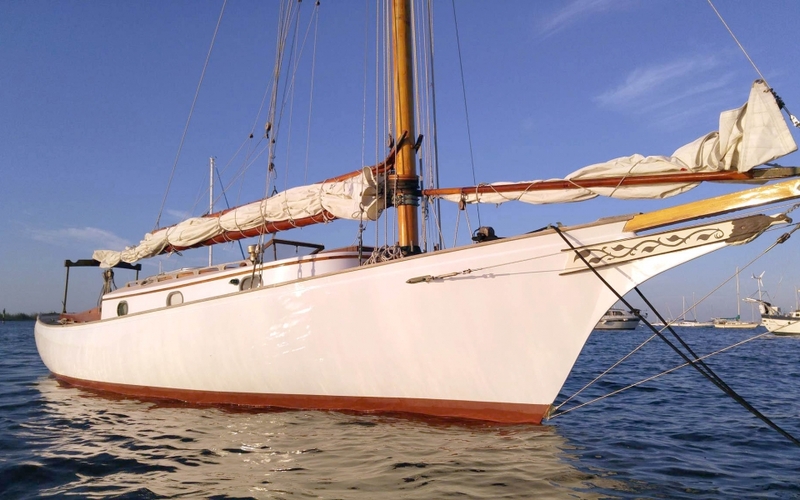 Following your arrival at Pickering Wharf Marina 20-30 minutes before your scheduled departure time, we will board you, get any drinks you’ve brought on ice and have a short orientation on the boat before we cast off and head out into Salem Sound in the late afternoon light. 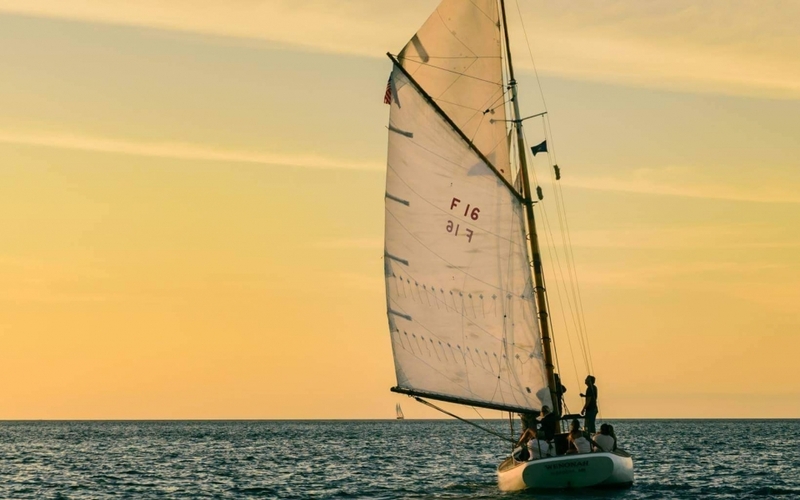 Whether you’d like to help raise sail, take a turn at the helm, or relax and enjoy the evening we’ll be under sail as soon as we can with the engine off, gliding with the wind through the North Shore waters. There’s plenty to see of historical and natural interest and your Captain and crew will happily share their local knowledge with you. The sun will set while we sail though the dusk, arriving back at the dock two hours after we embarked, just in time for dinner. A perfect evening! One of Salem’s most well known landmarks, the House of the Seven Gables, can be spotted near the new, highly efficient power plant. These landmarks stand as a reminder of the history of this town in it’s dark days, as well as the bright future it beholds. Of course, if you don’t know what to look for, ask the crew! They will be happy to point things out along the way and answer any questions. Tacking back along the north coast of the harbor will give you a chance to see Fort Pickering from the water. 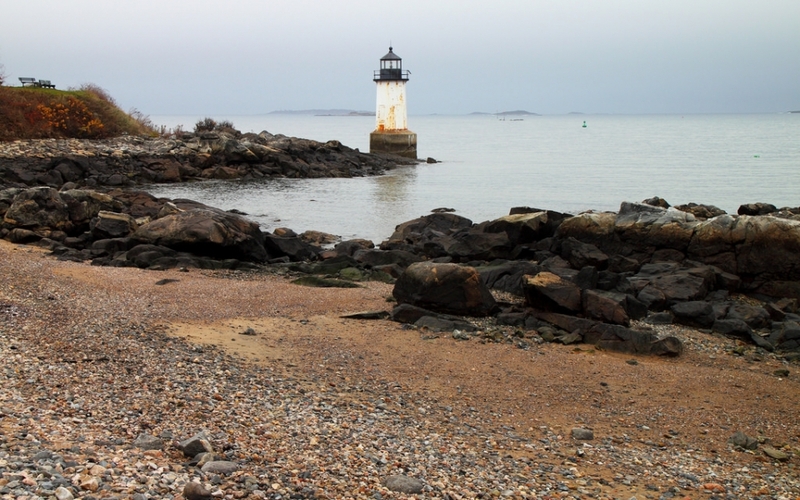 You can always find it by spotting the 30-foot- tall Winter Island Lighthouse, which has been standing since 1871 and still actively works as an an aid to navigation for the modern day sailor. Any of these sights are possible, and where we go on our trip depends on the conditions of the day. It is best to ask the captain if there is something in particular you would like to do or see. More than likely, he will say yes!